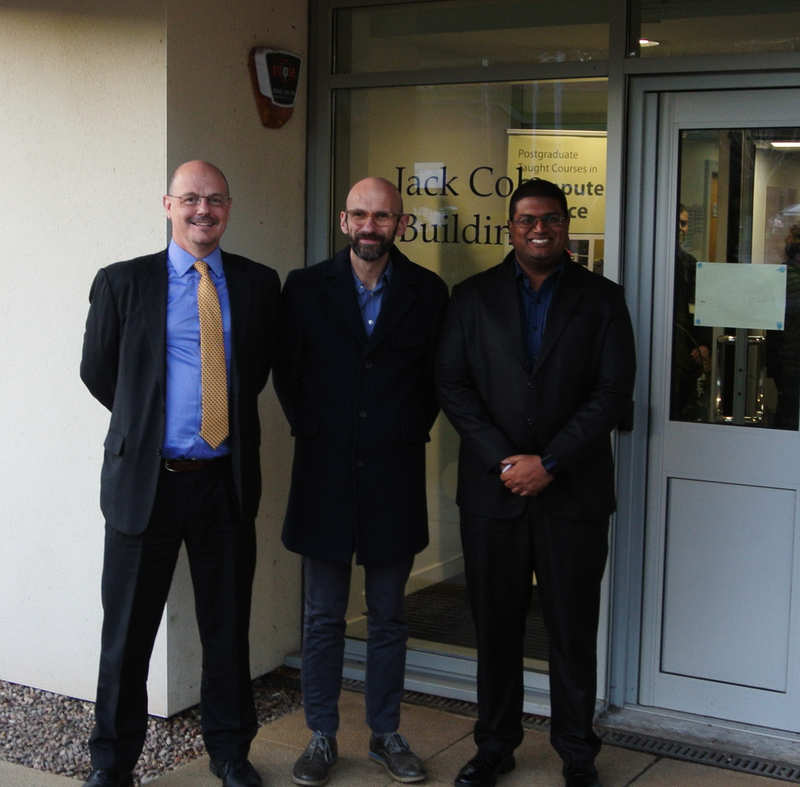 Congratulations to Shyam Reyal, who successfully defended his thesis yesterday. He is pictured with Internal examiner Dr Tom Kelsey and external examiner Dr Mark Dunlop , from the University of Strathclyde. Shyam’s research was supervised by Dr Per Ola Kristensson and Dr Mark-Jan Nederhof.